Cannons 3B and Outfielder Freeland will be returning to the Cannons for 2018. 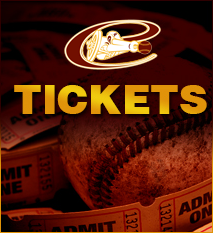 It is a question that many followers of summer collegiate baseball often ask, “who will be returning this summer?” Well, this will answer all of those Cannon’s fans that are asking that very question. Andrue Hughart, RHP – The righty will don the pinstripes once again this season. This follows success thus far throughout his season with Glenville State University. Why does Andrue want to return you ask? Well, it is one of my favorite answers I have gotten in the short time I have been covering the Purcellville. He says that he “just can’t shake Cannon fever.” This could be caused by the success he showed over his 3 appearances last year. He threw 12.1 innings in which he accrued a 1.45 ERA and 11 strikeouts. Dalton Whitaker, RHP – Dalton worked exclusively out of the bullpen while serving for Brett Fuller and the rest of his squad. His solid numbers secured him a spot on the 2017 North All-Star team for the Valley Baseball League. On average, Whitaker had a K/9 just over 9, while striking out 14 over 13.2 innings of work. Even though his strikeouts were impressive, this was not his most outstanding statistic. During his summer season with the Cannons, Whitaker didn’t let a single earned run come across to score. Yes, his ERA was at 0.00 last season. Sean Gabel, RHP – The 6’2” righty will join the Cannon’s arsenal of arms for another summer. This time Gabel will come off of the regular season where he has performed well up to the time of this article. This year, he played for the Valdosta State Blazers, where he has started 5 of his 6 appearances. Gabel was an arm that Purcellville could count on when he went out to take the mound. He averaged almost 6 innings per start, and gave the Cannons a whole 34.2 innings last year while only surrendering 15 runs. By the end of the VBL summer, Gabel had made it through unscathed as his win loss record was 4 and 0. Parker Dyson, LHP – “I can’t wait to get back to Purcellville.” The southpaw is licking his chops just thinking about the summer season in the Valley Baseball league. He is eager with a good reason. Dyson made 11 appearances, all out of the bullpen, for the Cannons last year. Capitalizing on each opportunity, he only let up earned run in the course of the regular season. With all stats combined from regular and postseason, he was on the bump in 12 games, with an overall ERA of 1.71. “I had a great experience playing for the Cannons last summer so I have very high expectations for this summer,” Dyson says. These expectations are something that all of these returners have in common. Shaggy Freeland, 3B/OF – Vision. Seeing pitches and getting deep into counts is something that the 6’2” junior does well. He struck out 10 times a season ago, but countered that with 13 base on balls. Along with battling at the plate, he also notched a .305 batting. “He just hits. Plain and simple,” is what general manager and 3rd base coach Ridge Fuller had to say about his player. Freeland is also versatile in the field. He can play 3rd, but also anchor down the outfield positions. 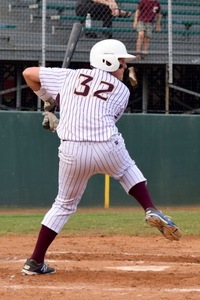 Nolan Ritchie, 2B/SS – “Pepper needs new shorts.” Nolan Ritchie explained how the Cannon’s competition should feel with a famous quote from the movie “Dodgeball: A True Underdog Story.” On a more serious note, Ritchie racked up the 2nd most at bats on the team (133). In those at bats he hit .263, but he also worked counts in his favor and walked 21 times. This allowed him to steal 8 bases along the way. Ritchie turned it up in clutch time when the Cannon’s needed him most. In the playoffs, he hit for a .385 average and also hit the lone bomb on his stat line. Trey Alderman, RHP – The pitching staff has some similar faces as Trey Alderman is the 5th player on this list that is a pitcher. Alderman worked 22.1 innings, all out of the pen last summer. It was rare that Alderman give out free passes as he only gave out 7 of them. He combated that number with 27 strikeouts. That statistic shows just how effective he was in relief, as he held a 2.82 ERA. Not only did he do his job in a pinch, he also collected 5 saves to close the door on his opponents. Those are the six that you should be familiar with if you were a follower last season, but there could be a few more faces that you just might recognize. The Purcellville recruiting department was able to snag a couple of solid players from another team in the league and rival, the Winchester Royals. Dillon Reed, CF – Reed is a solid middle of the lineup bat that should receive a warm welcome into the Cannon’s clubhouse. In 167 at bats, Reed hit .347 in the regular season as he recorded 58 hits and drove in 23 RBIs. Not only was his bat productive, he was also getting on base, and being effective in all aspects of the game. He came across to score 30 times himself. Now that is something that should draw a lot of fans to the ballpark this summer. Nick Adkins, LHP – Yet another bullpen arm that is returning to the Valley Baseball League. Nick Adkins was productive for the bad guys last season. While recording 2.63 ERA, Adkins never pitched more than 1.2 innings in one outing. With those stats, Adkins could be a situational lefty that one can rely on out of the bullpen. With a lot of familiar names returning, the summer of 2018 could be a season to remember for the Cannons. The 2018 opener isn’t as far away as you think. June 1st against Front Royal at home is where and when Purcellville will start the VBL season.